An asteroid twice as big as the bolide that exploded over Russia in 2013 will whiz by us next week at a distance that's closer to Earth than the moon. Despite what tabloid headlines might lead you to believe, small asteroids zip by the Earth on a fairly regular basis. Most of these space rocks are so little they'd burn up even if they did collide with our atmosphere, and astronomers discover many of them when Earth is already in their rear-view mirror. Asteroid 2019 EA2 could be up to 128 feet (39 meters) wide. It's the rare rock making a close flyby that's also large enough that astronomers spotted it well in advance. The asteroid, detected earlier this month, is also moving unusually slowly, at a rate of 5 kilometers per second (11,185 mph), which makes it easier to see. 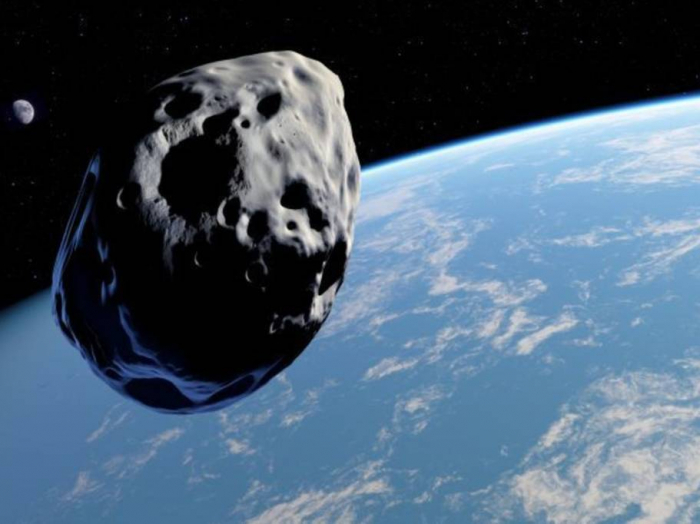 On March 22, asteroid 2019 EA2 will pass by us at a safe distance of 188,731 miles (303,733 kilometers), or about eight-tenths the distance between here and the moon, according to NASA. If you've got a powerful enough telescope (or perhaps with some help from a place like the Virtual Telescope Project), spotting this asteroid might make for an interesting follow-up to watching the last supermoon of the year just a few nights earlier. Read the original article on CNET.com.